PHILADELPHIA--(BUSINESS WIRE)--Jan. 28, 2019-- Aramark (NYSE:ARMK), a global leader in food, facilities management and uniforms, who employs 270,000 team members across the globe, has again been named a Top 50 employer by CAREERS & the disABLED magazine, for providing a positive working environment for people with disabilities. Last year, Aramark introduced a new employee resource group, Aramark Thrive, dedicated to team members who self-identify as having a disability, and for caretakers and advocates of those with disabilities. Through Aramark Thrive, the company is embracing personal connections to advance awareness and inclusion for people with unique challenges and to provide them and their support network with opportunities to share their stories. 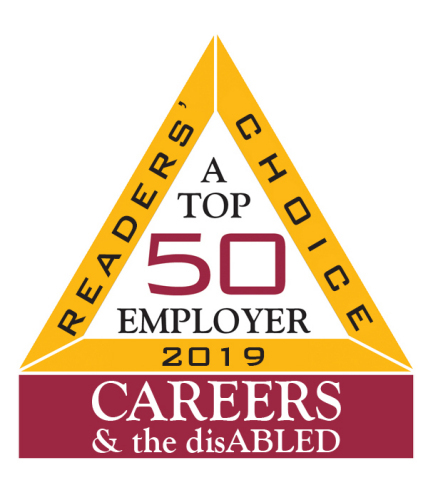 The readers of CAREERS & the disABLED magazine selected the top companies in the country for which they’d most like to work or which they believe would provide a positive working environment for people with disabilities. CAREERS & the disABLED magazine is the only national career recruitment publication for people with disabilities in the United States.